Webinar: Are your ecommerce emails optimised for conversions? How can you tell if customers like hearing from your brand? Strong open and click through rates for your emails are a pretty good indication, but, the real measure is conversions. Getting your prospects to take a desirable action, that eventually leads to revenue. 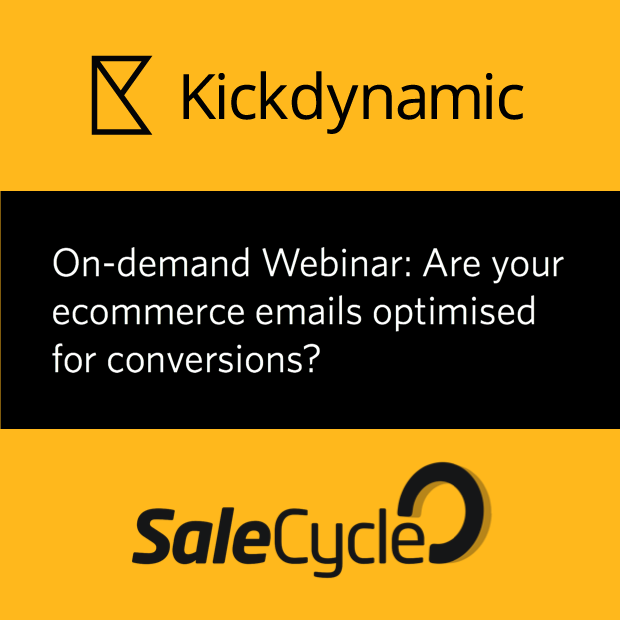 Watch this 30 minute webinar with Matt Hayes, Co-Founder & CEO at Kickdynamic and Luke Nokes, Global Head of Design at SaleCycle on how to create emails that convert.